“Save Norton Folgate,” shouts the large black print on a white banner flapping in the wind above a fine Georgian terrace a few minutes walk from Liverpool Street station. 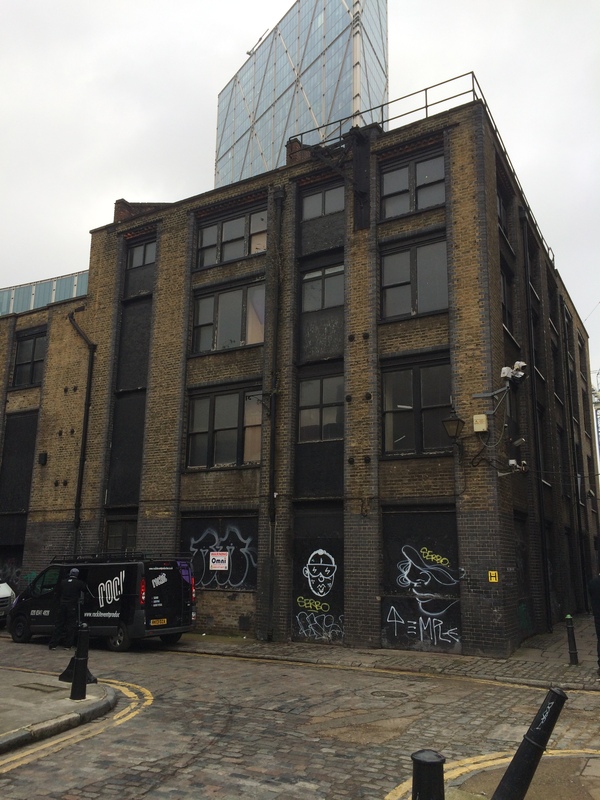 Four decades on from when Dan Cruickshank, Sir John Betjeman and many dedicated others fought a long hard battle to prevent large swathes of Spitalfields from being demolished, this historic corner of east London is threatened again. Legislation preserving Britain’s heritage buildings has evolved since the 1970s, so developers have needed to be more imaginative this time round – they can’t simply obliterate historic terraces completely. But nonetheless British Land’s plans – which propose structures up to 13 storeys high – would completely destroy the character of the area, say campaigners. Take one look at the sketches and you can see why the Spitalfields Trust (established in 1977) is worried. Approximately 75% of existing buildings in what is known as the Elder Street Conservation Area would be demolished if the scheme goes ahead. While the listed facades of properties would remain, the historic buildings would be reduced to little more than empty shells. Indeed, a graphic showing the structures that would remain if British Land’s plans get the go-ahead looks reminiscent of the aftermath of a devastating bomb attack. The huge craters left following the bulldozer’s work would be replaced by nondescript office and apartment blocks, which incorporate mere fragments of Georgian and Victorian masonry – and retain none of the character. In a special exhibition, currently being held at Denis Severs’ House – a museum in Folgate Street – panels prepared by the Spitalfields Trust note that “the last example of a warehouse and showroom at the fringe of the City of London” would be destroyed in Blossom Street. Photos published on Spitalfields Life at the weekend show the interiors of the 19th century buildings which from 1875 until recently were the headquarters of Nicholls and Clarke, the hardware and ironmonger suppliers. The wider area has been inhabited for well over a thousand years, having originally been part of St Mary Spital, the medieval religious priory complex that gave rise to the name Spitalfields. But it was in the 17th and 18th centuries when Huguenot refugees fleeing religion persecution in Catholic France set up silk weaving businesses in these parts that the true character of the neighbourhood was formed. As I’ve written before, the Protestants transformed the area, not least through the building of churches. Master weavers lived in the newly-built terraced properties which featured attics with large windows so they had plenty of light to practice their trade. Today, these homes change hands for sizeable sums of money but as many are still lived in they help keep the neighbourhood alive both during the daytime and evening. Norton Folgate – a nine acre site on the northern edge of Spitalfields – achieved autonomy from the church in the 16th century following the Reformation and was ruled by a court of 10 officers who were elected by the people. The body maintained everything from burials to street lighting and only lost its self-governing powers in 1900 when London County Council was formed. Over the years, many famous people were associated with Norton Folgate, including popular playwright Christopher Marlowe who – according to an arrest warrant of 1589 – was a resident (before theatres like the Globe and Swan were established on Bankside, plays were performed in venues like the Theatre and Curtain in Shoreditch). Dennis Severs’ House at 18 Folgate Street is a fitting venue for Spitalfields Trust’s exhibition. Built in 1724, the various rooms of the property are laid out to depict a variety of time periods right from the early days of occupation right through to the 20th century. It would be a real shame if visitors to this museum in the future needed to look onto any unsightly office blocks that would be better suited to Canary Wharf. But there is an alternative to British Land’s plans. 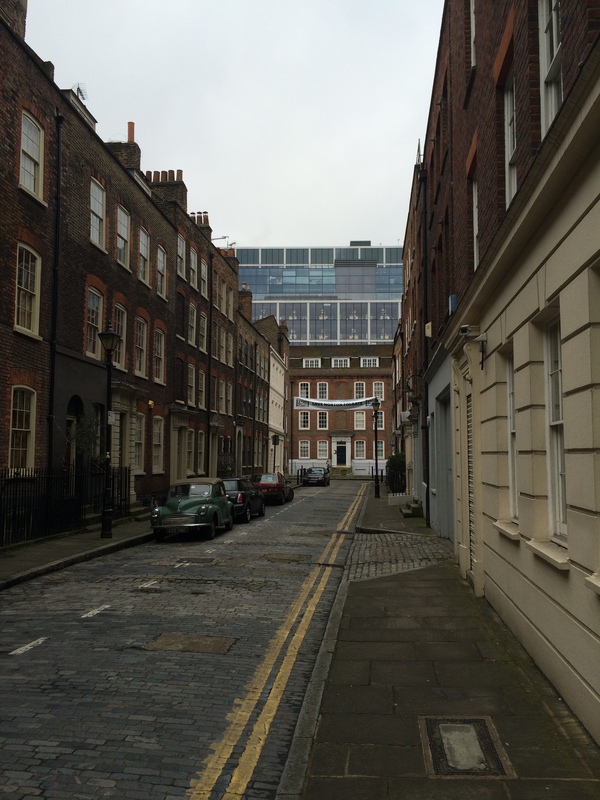 Spitalfields Trust accepts that development can’t be stopped completely; it merely wants to ensure that new buildings are in keeping with the existing historic ones. And that means creating properties that look more like Georgian terraces – four or so storeys high – than faceless tower blocks. The Spitalfields Trust is urging people to object to the proposals by writing to Tower Hamlets council before mid-March. For more information click here.